Choosing Christmas gifts seems to become a harder task every year. Not only do you need to find a gift for everyone on your Christmas list, but you also need to make sure that you don’t go into debt in the process. Plus, there’s the very real possibility that you actually have no clue what your loved ones would like for Christmas, leading to a lot of awkwardness on Christmas morning when something that you spent ages choosing, finding, and then buying (not to mention the $50 spent in the process) becoming nothing more than an awkward moment when you realise they’re not that keen on the gift. We’re here to change all that, as we’ve scoured the internet and asked as many people we could think of for their tips for cool Christmas gifts that you can make yourself. 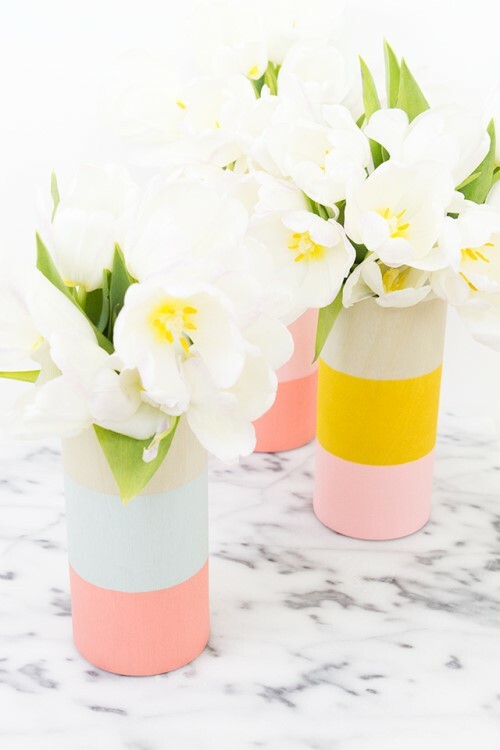 The criteria: the gift must be cool and unusual; the gift must be totally DIY; and the DIY process must be simple, quick, and – perhaps most importantly – inexpensive. We now present the most awesomely cool Christmas gifts that won’t break the bank. We’re sure that there will be at least something in this list to solve even your trickiest gift-giving dilemmas this holiday season. The creators of this DIY project claim that the entire gift can be made from start to finish in less than an hour. You’ll need to head to your local hardware store to find some adhesive wood sheets, but apart from that, no special materials are needed, and the end result is obviously fabulous. Who knew that such a wide range of genuinely useful Christmas gifts could be made from a three pack of tennis balls? You could probably make one of these cute little critters for everyone on your Christmas list, each with its own purpose. Perhaps Grandma could have one right near the front door to remind her to bring her house keys with her when she goes out; and your Mum could have one in the kitchen as a permanent home for the kitchen pen that keeps disappearing. You could even put one of these on each of your children’s bedroom doors as a handy spot to put their mail. 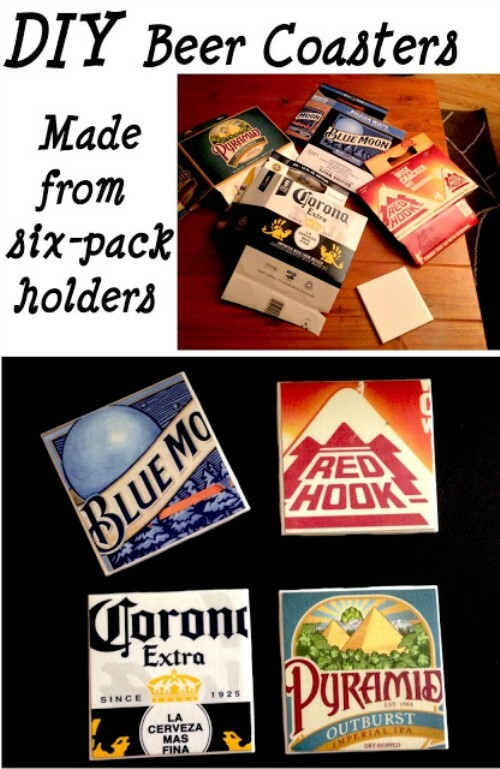 If you’ve got a supply of old six-pack beer holders lying around, these DIY beer coasters will cost almost nothing to make. Otherwise, prepare in advance by asking your friends to save their empty beer holders for you. Of course, other materials could easily be used, such as the covers of magazines for an entirely different effect from the same project. This DIY Christmas gift is unique in that you could get away with paying absolutely nothing to create this gift, provided you’ve already got a decent sized glass jar with a lid. 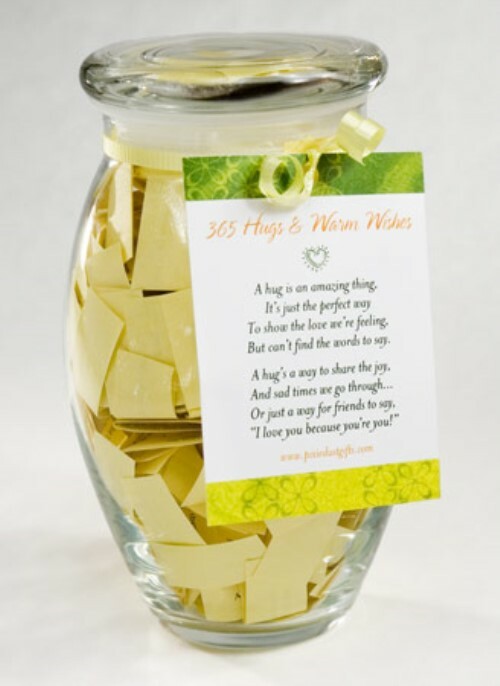 The idea is simple: you write a short, sweet, motivational, or sentimental message on 365 tiny sheets of paper, fold each one in half, and fill the jar. Your lucky gift recipient will literally have a gift that will last them for the whole year, as they will be able to remove one note each day and hopefully be uplifted by your message. The trick, of course, is coming up with 365 messages, so this one will involve a considerable amount of time and brainpower, offset by the fact that it’s a practically free gift. Many DIY notebook projects require you to purchase a plain notebook to begin with, with the project being nothing more than personalising the cover of the notebook. 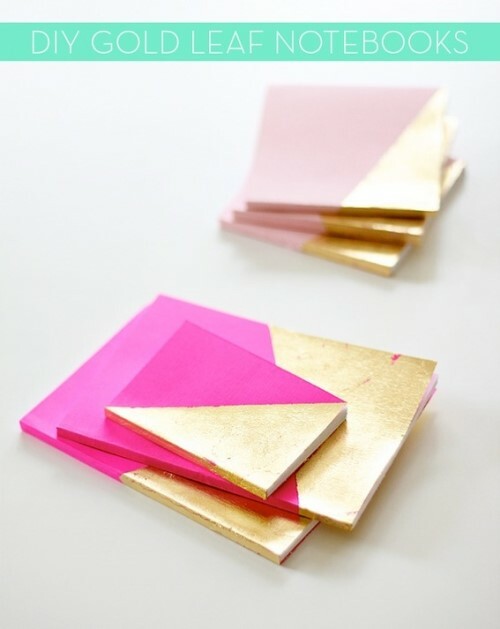 Not so with this mini gold leaf notebook project, where the entire notebook is made from scratch by cutting down paper to the exact size you’d like it to be and using PVA glue to bind the pages and the cover. We love that this project is a true DIY project and could be made for next to nothing, and of course can be personalised as you wish, including the size of the end result. One of your relatives may prefer a decent sized notebook for shopping lists and to-do lists, while your seven-year-old niece (the one who wants to be a spy when she’s older) would go nuts for a teeny tiny notebook in her favourite colours. 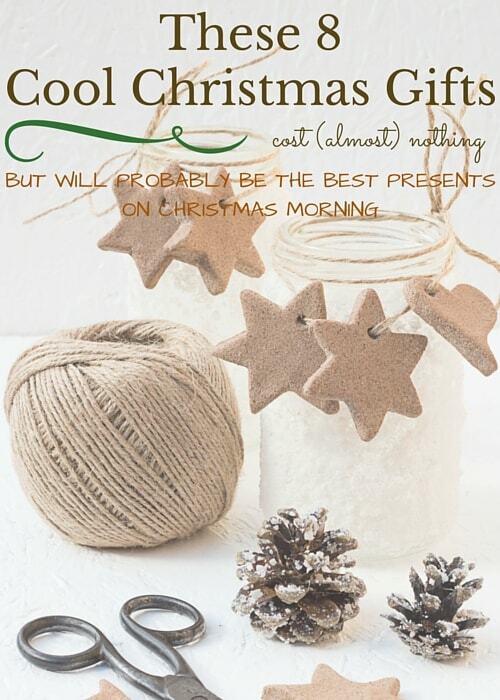 For a DIY gift with a twist, go hunting for some special photos of particular significance to your gift recipient. Perhaps you could track down some photos of their beloved childhood pet, or even purchase some professional photos online of their favourite celebrity. After all, custom canvas prints don’t have to be just family photos: the possibilities are endless and the end result will be the ultimate contradiction: a DIY gift with a professional finish. 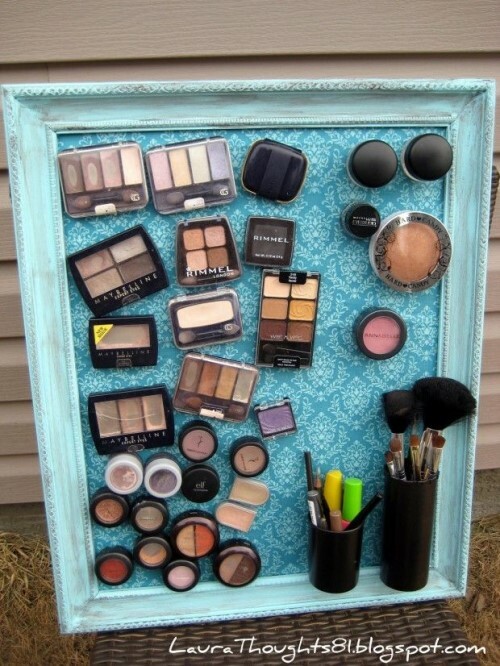 When you give someone a magnetic makeup board you’ll probably be met more with a sigh of relief or a comment along the lines of: “Why has no one thought of this before?” The idea is simple yet it can be a time- and frustration-saver for anyone who feels that they spend way too much time trying to locate their usual selection of go-to makeup products each morning. 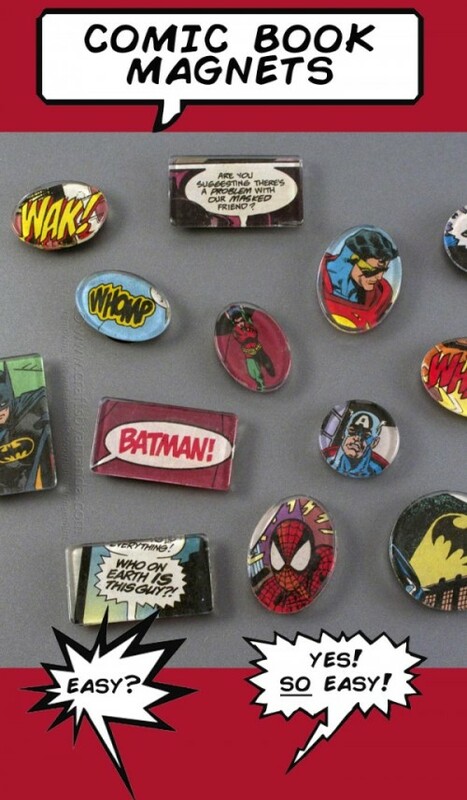 Finding the right DIY gift for a teenager is sometimes not the easiest task, but these comic book magnets are a surefire solution as they’re the perfect mix of artsy, retro and geek culture. You’ll need a stack of old comics (check eBay or a local flea market to pick some up nice and cheap) and some basic supplies from a craft store, then the rest of the project will be simple and most likely quite fun to create. These days, people are becoming more interested in creating gifts themselves than spending money on a last-minute gift. We love the way that Christmas is starting to become less commercialised and more about spending time together and exchanging heartfelt, meaningful gifts. 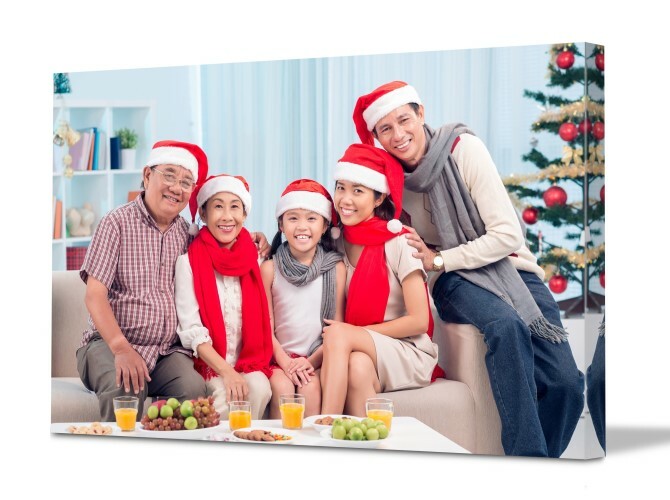 Of course, there is nothing more meaningful than a photo gift, so if you’re running short on time or you’re looking for a truly professional quality gift, create a custom canvas as the most perfectly unique Christmas gift.